I’m glad it wasn’t an interview. I’m glad I didn’t prep for my conversation with Jordan Davis’ parents with research and scripted questions. Instead, I got an unexpected opportunity to spend nearly a half hour having a heart-to-heart with Lucia McBath and Ron Davis. 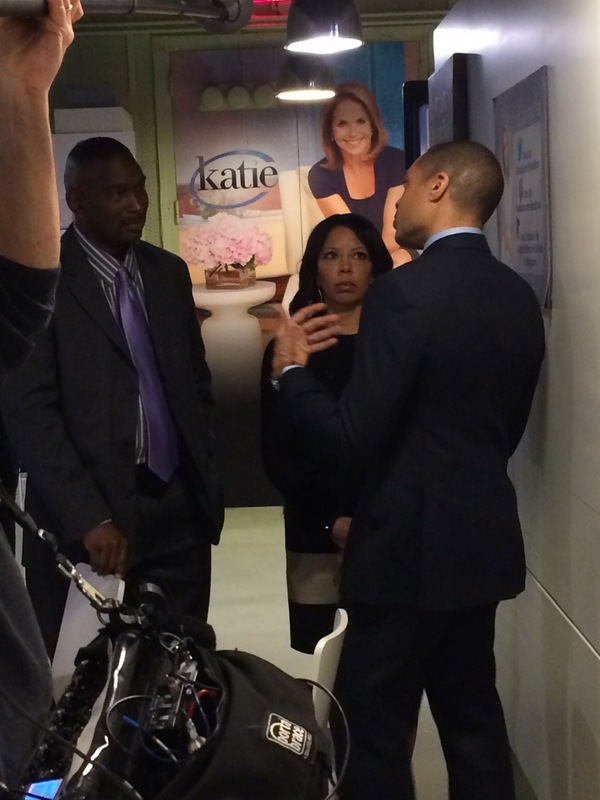 McBath and Davis were featured guests on “The Katie Show” yesterday. I was there as a guest as well to talk to Katie Couric about the fallout from the case. When their segment was done, Davis’ parents sat in the front rown while I was interviewed. When I was done, I immediately went over to say hello to them, and we all ended up walking back to the green room together. We struck up a conversation, and parts of it I want to share. You can’t help but be struck by their resolve and their warmth. We talked about a lot in our half-hour chat, but the one thing we didn’t really talk about: Michael Dunn. Their energy and focus is on their son, his memory, and trying to prevent other families from going through a pain like theirs. They never expressed an ounce of anger about the verdict. Disappointment, sure. But, in talking to them, I heard about many of the other challenges they’ve been through in their lives. It helps you understand them. The majority of the time was spent on this question: what do we tell our kids now? We laughed as Ms. McBath mimicked a young black man’s strut while conveying her serious message: “they’ve earned the right to walk with swagger. They’ve earned the right to have their music as loud as they want.” She went on explain that young black kids shouldn’t have to live in fear that who they are is going to make someone else feel uncomfortable or intimidated. But, they added that we must also teach kids to be “wiser.” Mr. Davis explained it this way: any one of us could be walking through Central Park, a place we have a right to be. But, if you see a wild animal in the park that’s on the path you’re walking, common sense will tell you to go around and avoid the danger. His point being that we have to teach kids to be smart enough to recognize potential dangerous situations and make the conscious decision to avoid it and not take the chance of confronting it, even if you’ve done nothing wrong.